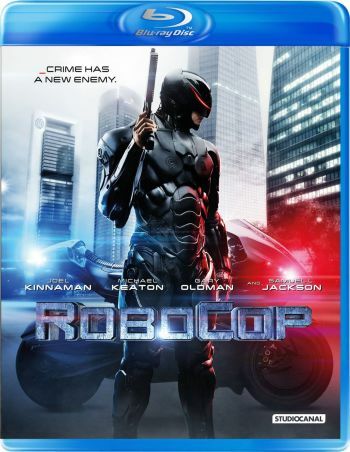 The fact that the RoboCop remake was produced with a PG-13 rating in mind caused a lot of skepticism among fans. In comparison to Paul Verhoeven's ultra violent movie, the new attempt focuses more on robot action and storytelling and much less on graphic violence. And even though the producers didn't raise any hopes before or after the theatrical release of the film, there was a little glimpse of hope in the back of many film fans' heads that the DVD/Blu-ray could maybe contain a longer and harder version of the film. But this wish doesn't look like it's going to be fulfilled. As the announcements for the upcoming home video releases for various countries show, the only cut of the film will in fact be the already known PG-13 version. If you found that this was already a good enough film or want to check it out now that it doesn't look like anything else is on the way, you can order it at at Amazon.com or at Amazon.co.uk.